Pure’s charity quiz in Ipswich raises over £2000 for us! 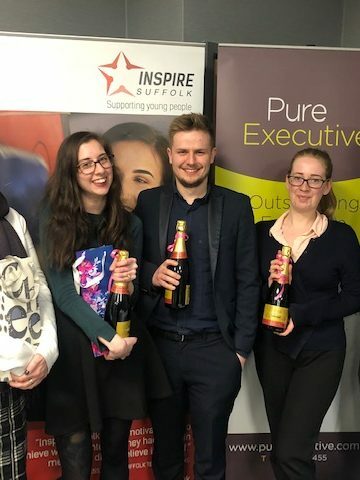 Professional recruitment specialists Pure hosted its annual Ipswich charity quiz night on Thursday 14th March, bringing local businesses and clients together for a battle of the brains which raised over £2000 for us! The fun evening, which has become renowned for its playful rivalry between local organisations, saw 30 teams take part to pit their wits against each other and to be crowned 2019 quiz champions. 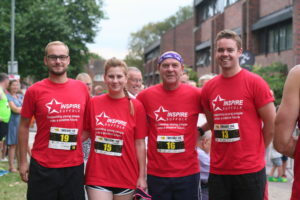 The teams included people from Notcutts, Grant Thornton and MLM. The overall winners were a team from Bates, Wells & Braithwaite who were presented with a bottle of Champagne each. The event, held at the Novotel Hotel in Ipswich, also included the annual raffle to help raise further funds. 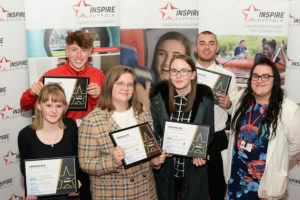 Prizes were donated by local businesses including Forage Cookery School, New Wolsey Theatre, Greene King, Greater Anglia, Five Lakes Resort and The Chestnut Group. “Our annual charity quiz is one of the main fundraising activities we hold as part of our commitment to supporting and taking part in the communities that surround us. The friendly competition between local businesses makes the event a lot of fun and I’d like to thank everyone who attended, donated and contributed to the event. The money raised through this event will go towards our work supporting young people across Suffolk and North Essex onto a positive future. 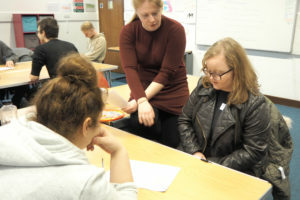 Each day, our team works at the forefront of helping young people to overcome the challenges they face, including mental health and confidence issues, and lead them into employment and further training. Pure raised the funds through the entry fee for each team, with the full amount being donated to the charity, and through the raffle of prizes donated by local organisations. Thank you to everyone who supported with the raffle too! Thank you so much to Pure for organising the event and to everyone who attended. We cannot do our work without such fantastic supporters and we are so grateful! Would you like to host an event in aid of us? Get in touch with our Fundraising & Events Officer, Sara Warburton, on [email protected] or call 01473 353 194 with your idea! 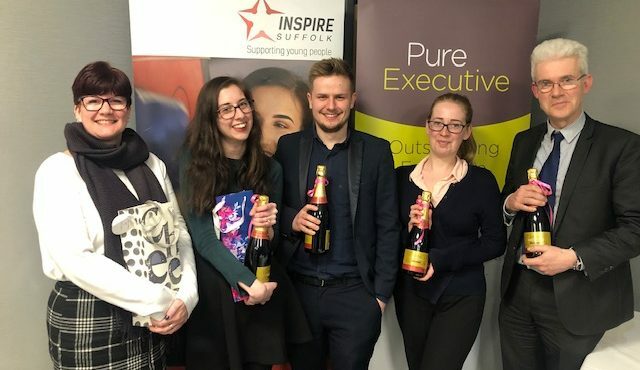 Enquire about: Pure’s charity quiz in Ipswich raises over £2000 for us!